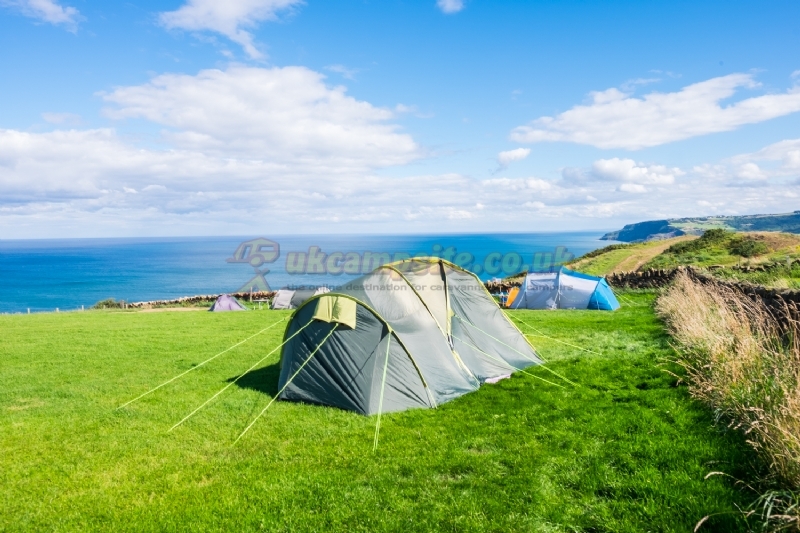 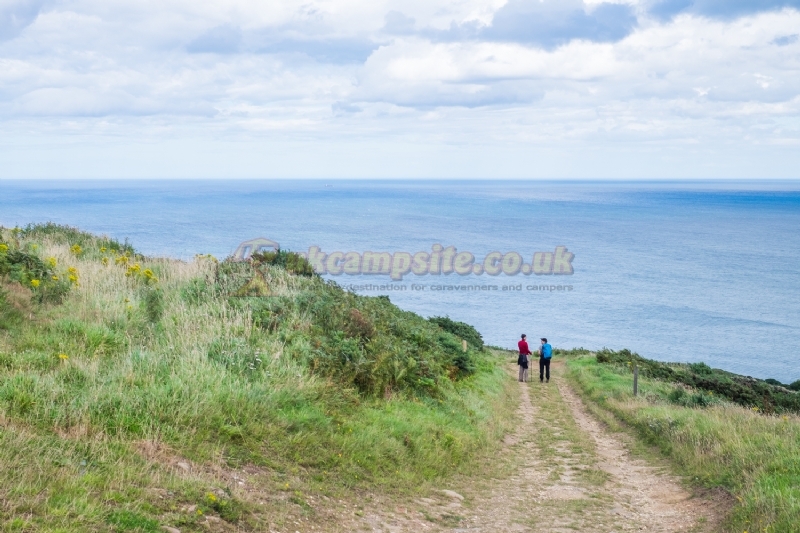 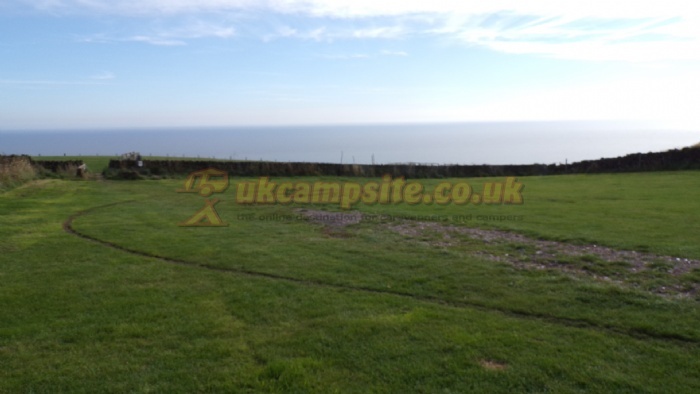 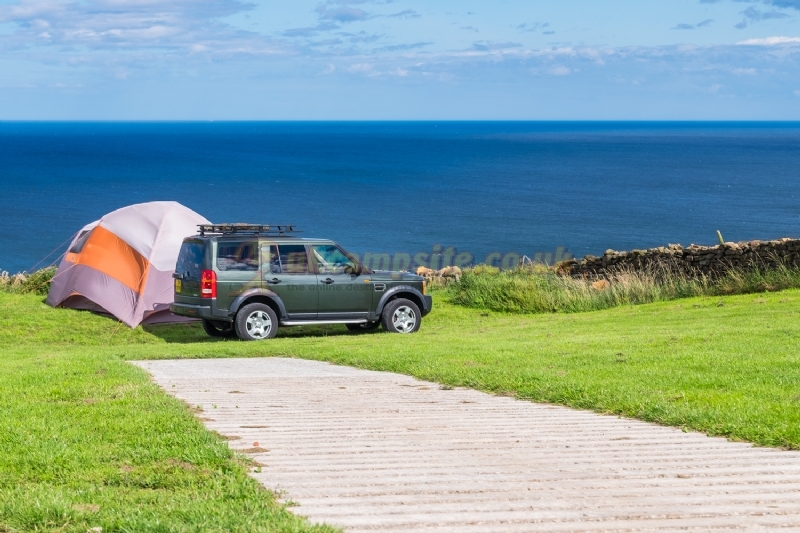 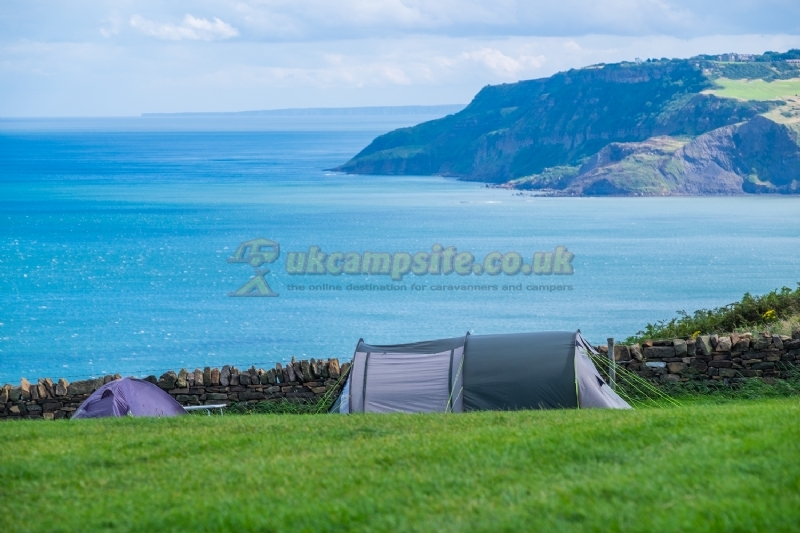 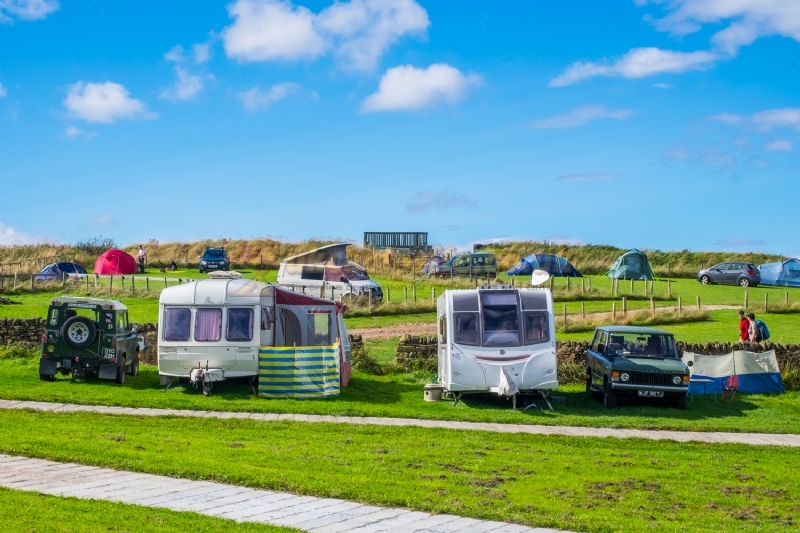 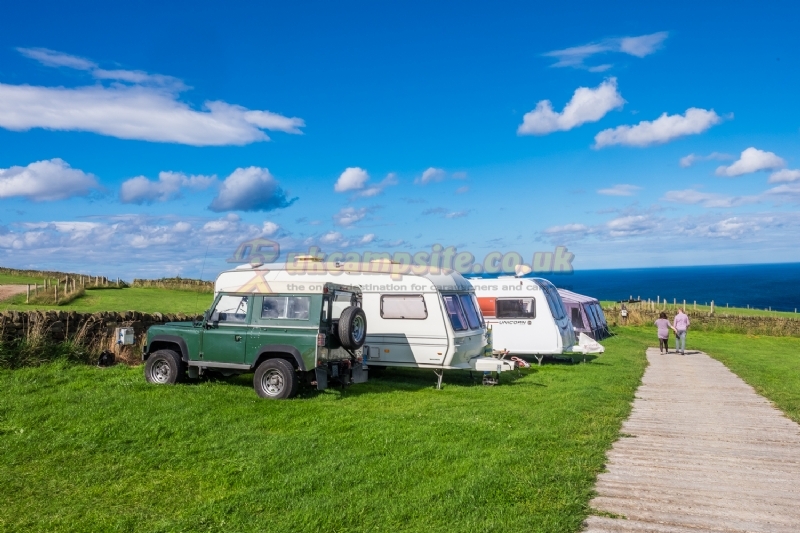 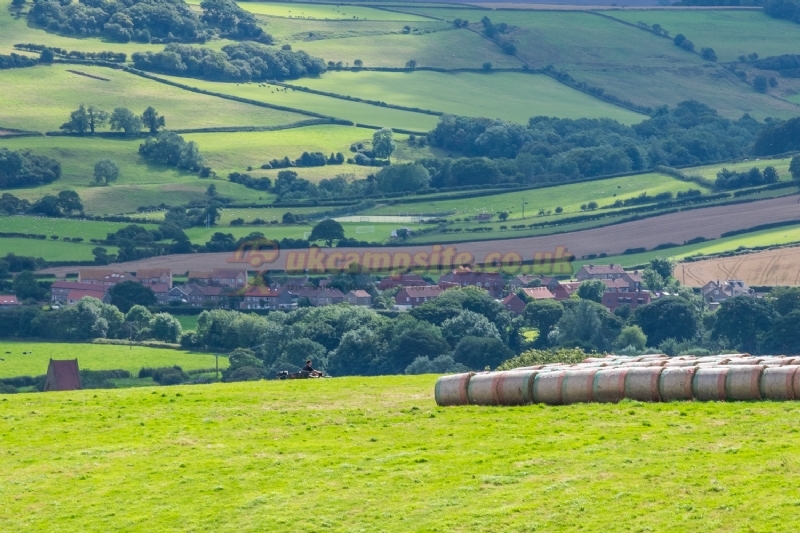 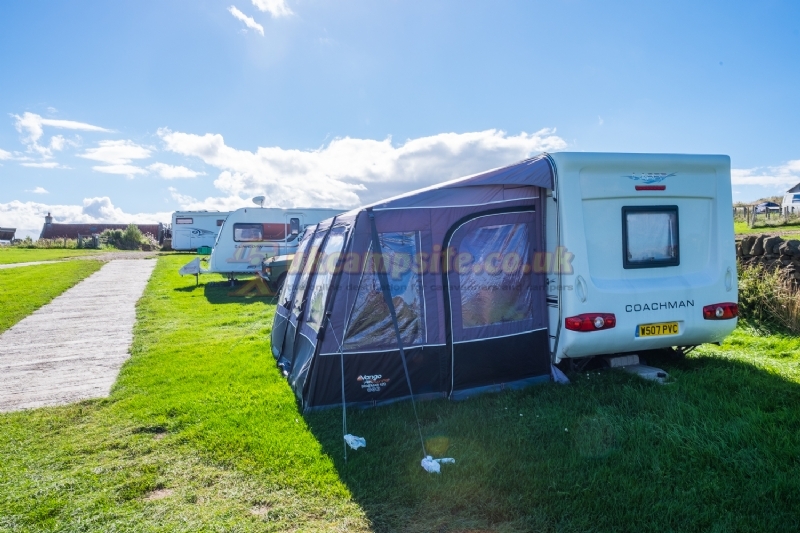 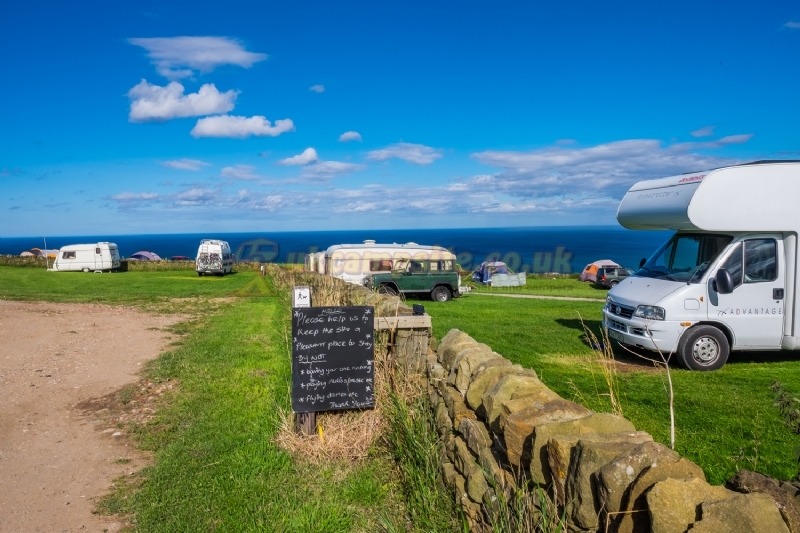 Camping and Caravan Facilities in Robin Hoods Bay, Whitby. 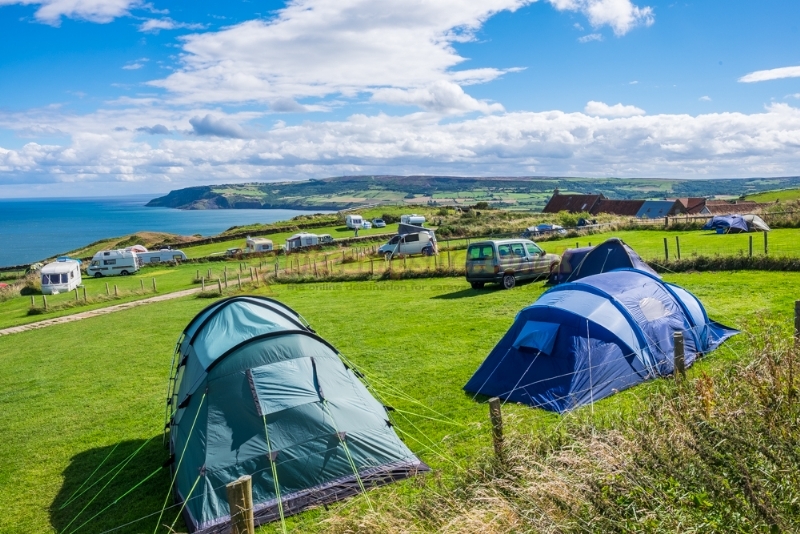 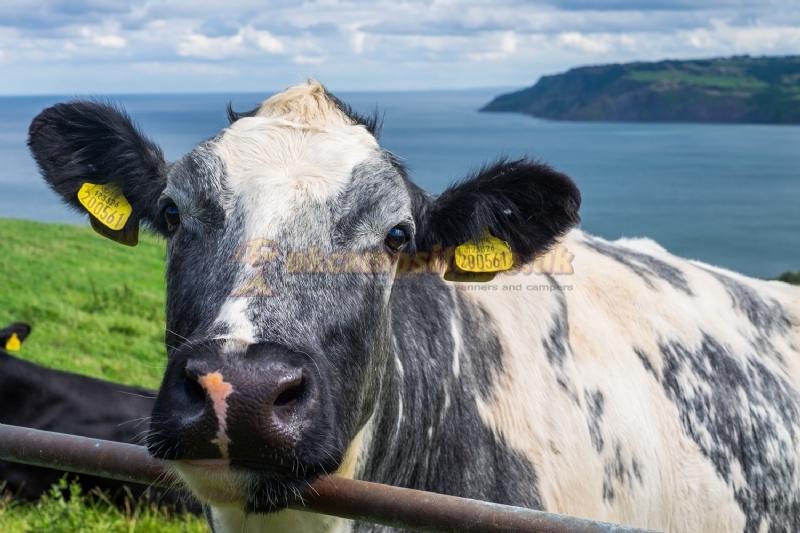 Situated just above the beautiful Robin Hoods Bay, the farm has splendid sea views and is surrounded by breath taking countryside. 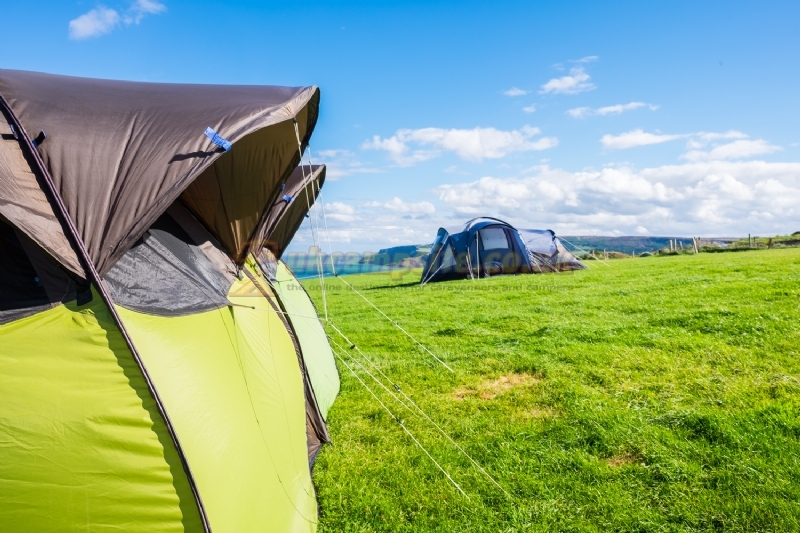 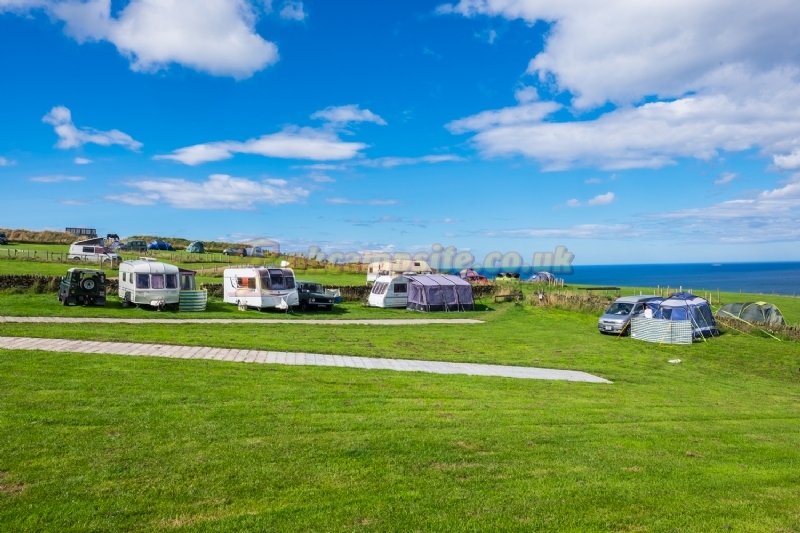 The campsite is situated to the left of the farm buildings it has excellent facilities to cater for tents and has beautiful sea views across the bay. 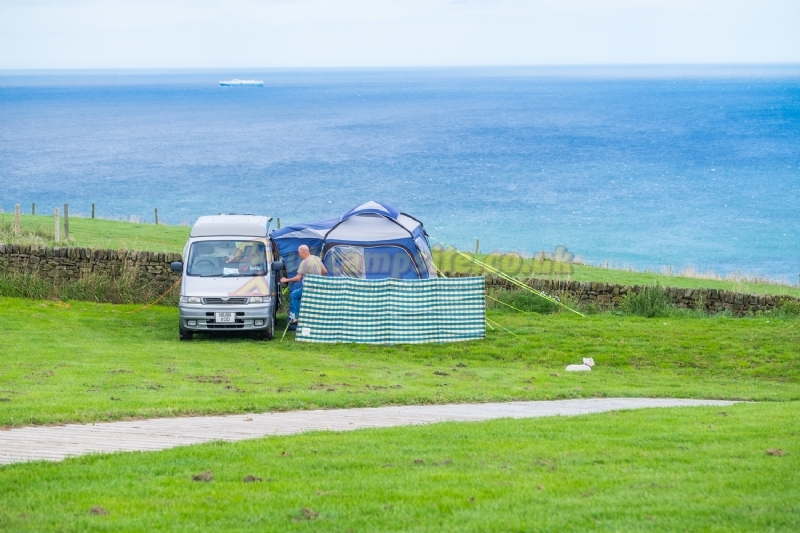 and pot washing/ice pack freezing point. 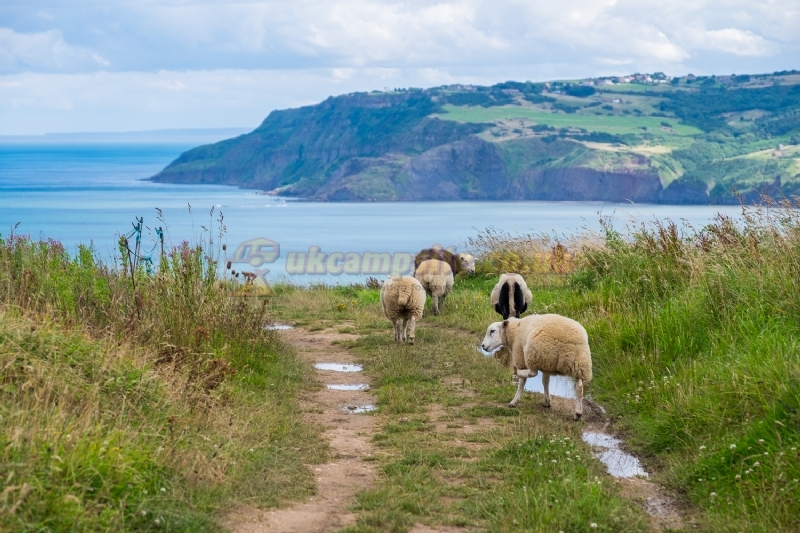 From the farm, across a track, access to the old Railway line is found and makes for a short yet picturesque walk (25 mins) to Robin Hoods Bay. 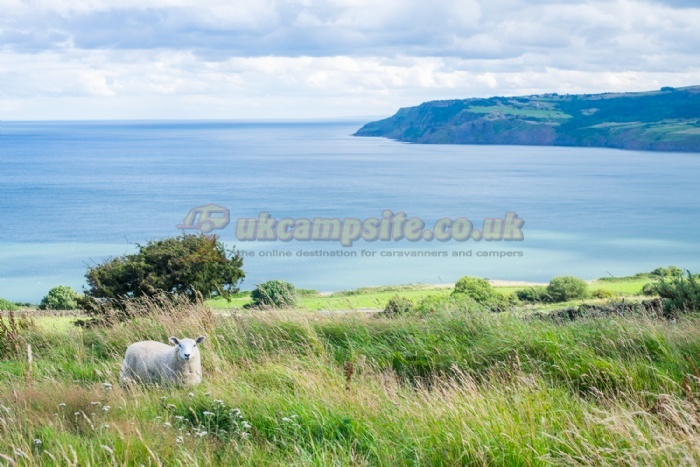 For longer walks the Cleveland Way and Coast to Coast routes can be found in the Bay. 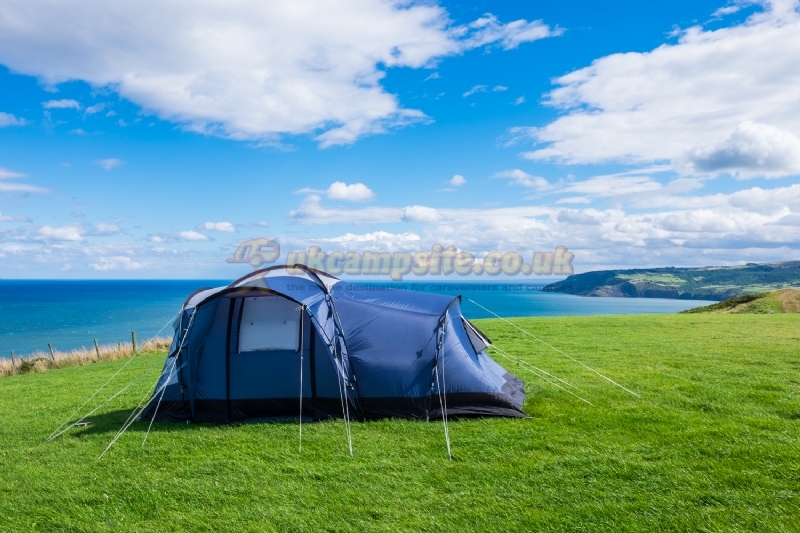 Well-behaved dogs are welcomed and we also allow barbecues etc as long as they are not on the ground. 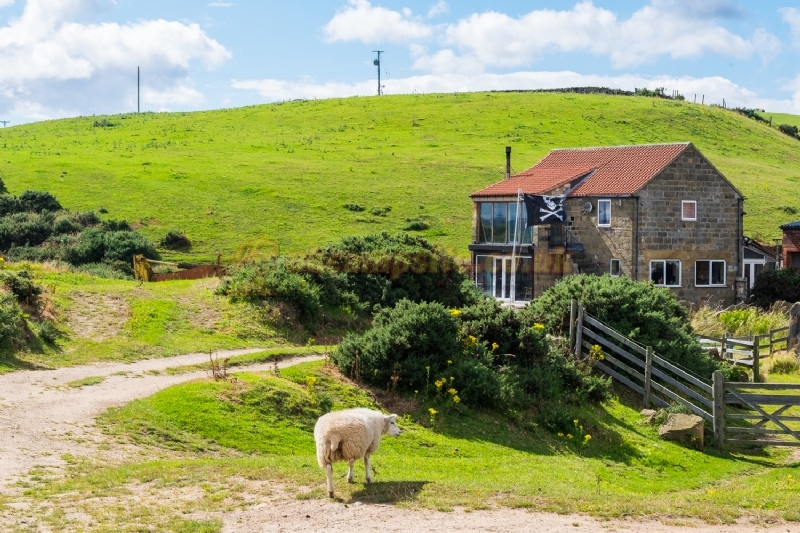 As we are a small site we only take email bookings as phone reception is limited all guests must be pre-booked, all bookings must have been confirmed by Bay Ness Farm prior to arrival. 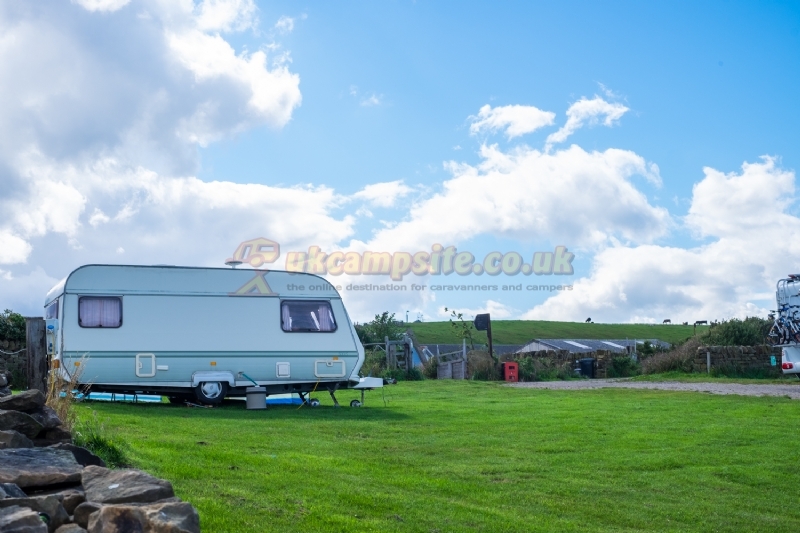 Please use the booking form for enquiries. 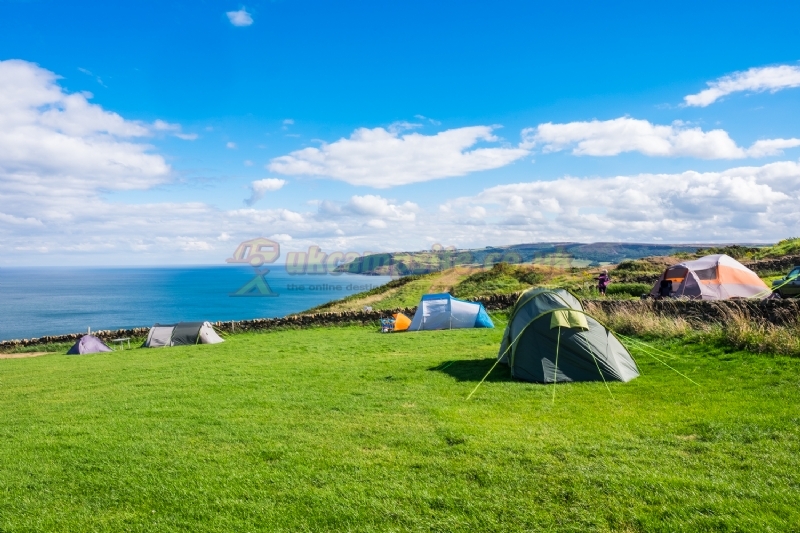 Robin Hoods Bay with its many quaint cobbled streets, beaches, picturesque shops and tea-rooms is a delightful place to enjoy North Yorkshire at its best. 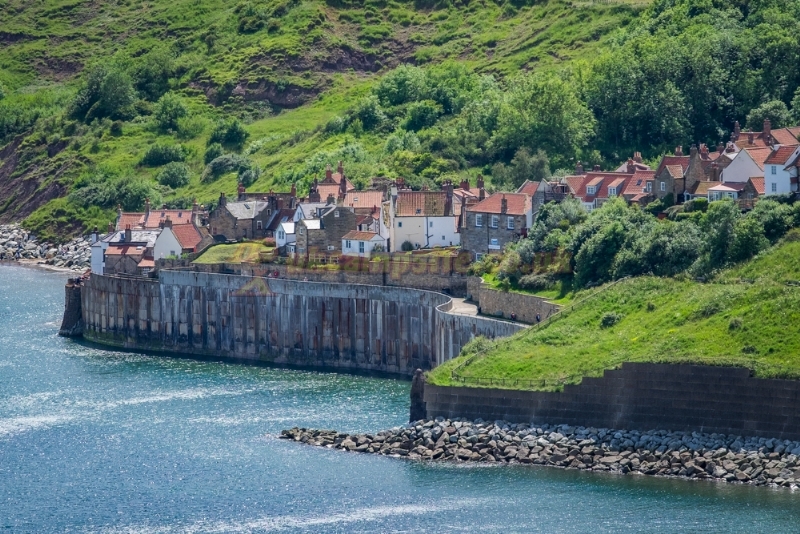 The larger port of Whitby is close by (4miles) and offers boat trips, golden sands plus many shops and amenities. 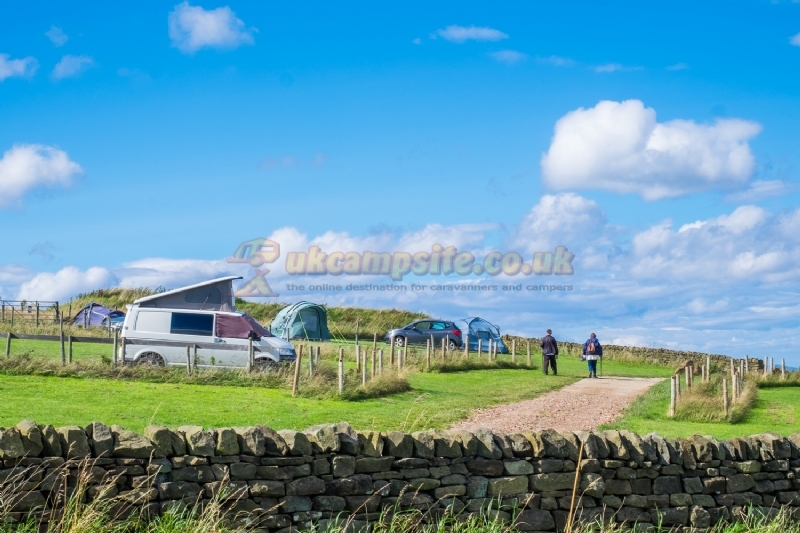 Please ensure that you follow the directions to the site sent on booking and register with reception and obtain your pitch location, prior to setting-up.